Winner of the Gold NestlE Smarties Book Prize, Philip Reeve received five starred reviews for Larklight. 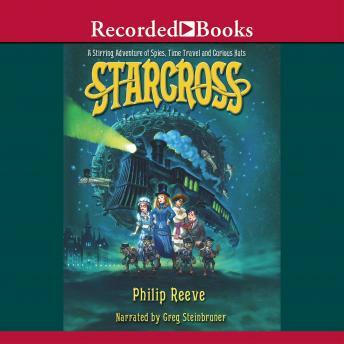 The extraordinary adventure of that book continues in Starcross, as Art and Myrtle receive an ominous warning from an ancient superhuman (their mum). The solar system is on the brink of invasion-from highly intelligent hats from the future!